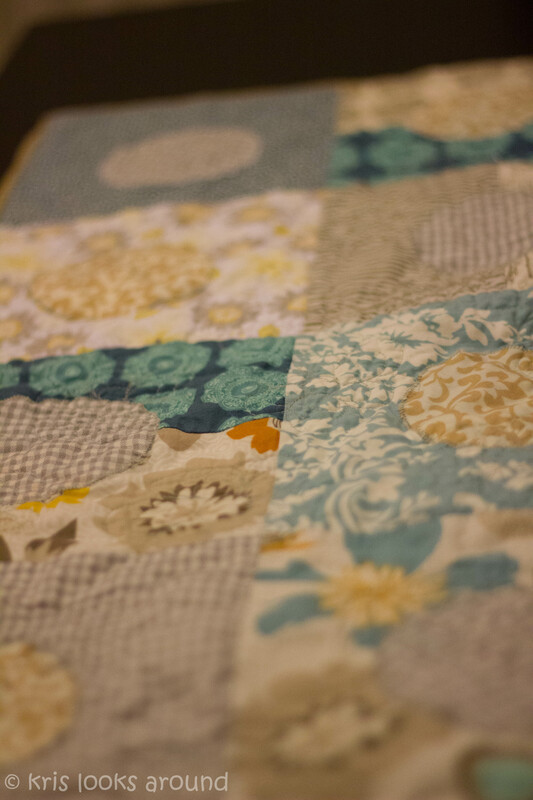 I always love getting a baby shower invitation because then I get to start planning another baby quilt. I try to find out what their nursery is looking like or what colors they like. Sometimes they will tell you or sometimes you just have to go looking on their Pinterest to find out what their style is. I knew it was the right one. 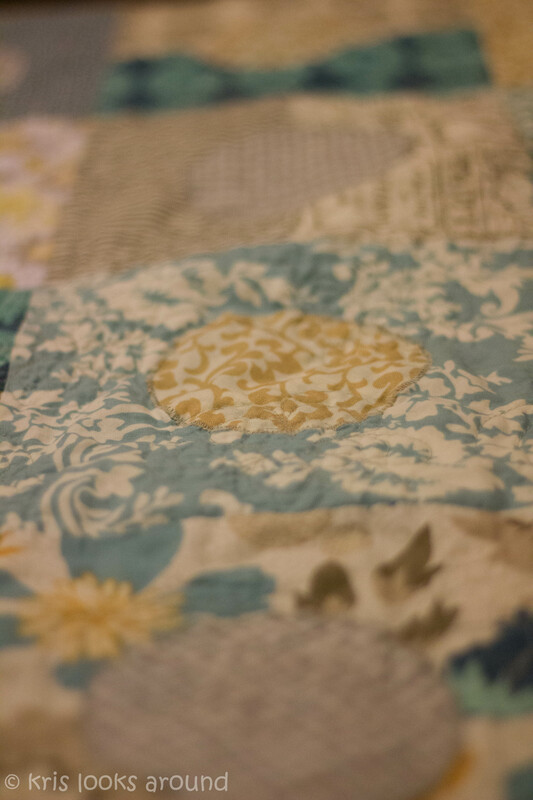 Loved Riley Blakes’s Lost and Found 2 by My Mind’s Eye as my material .. I couldn’t get the red to work so I found this material up in Victoria as extra material. Thought it matched great for trying to remember what the material at home looked like. 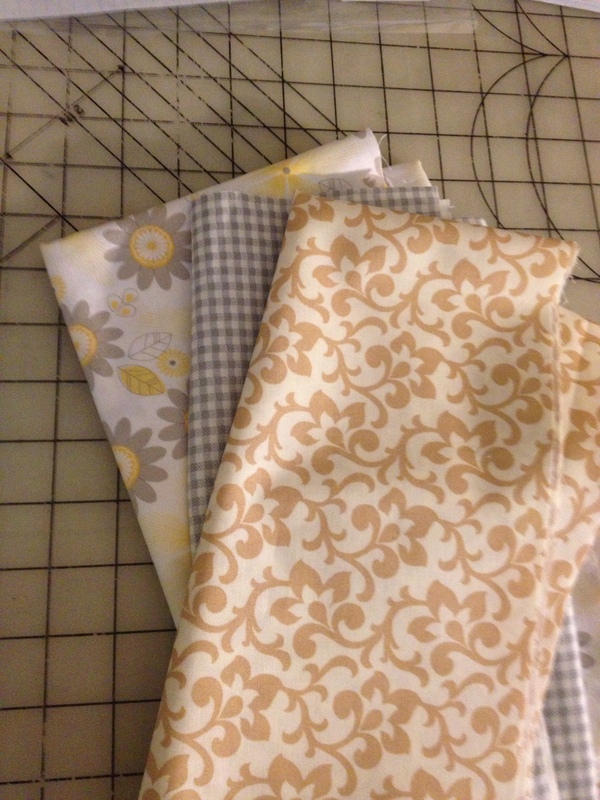 It was fun to try a new pattern. 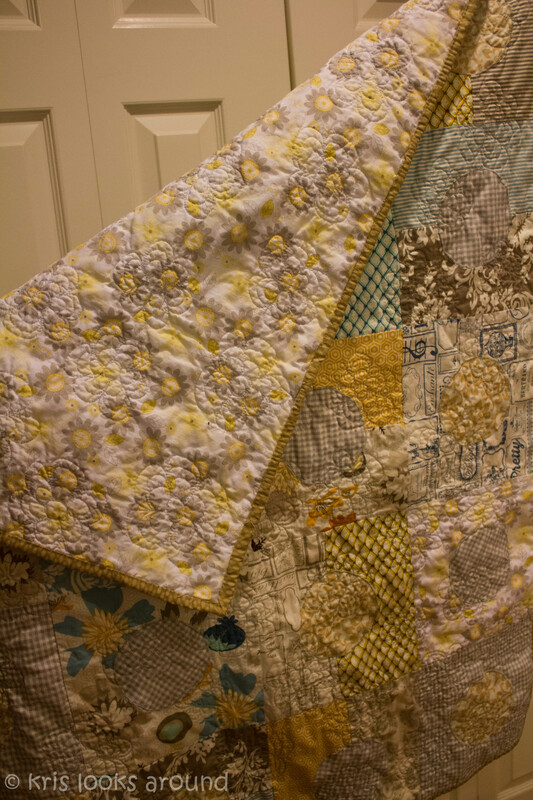 Here are some close up’s to some of my favorite squares and the stitching on the quilt. Still learning, but it was fun. 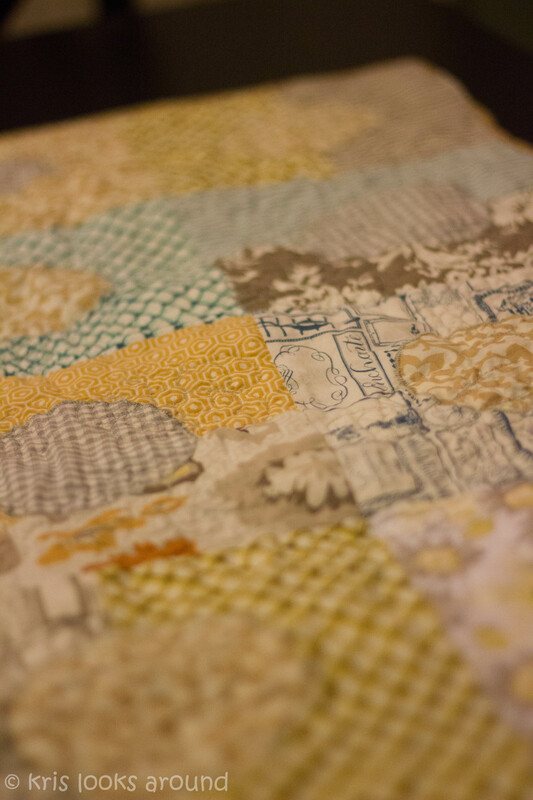 Got an idea last night driving home with Owen for a new quilt. So excited. Hopefully I can have it done by Sunday. 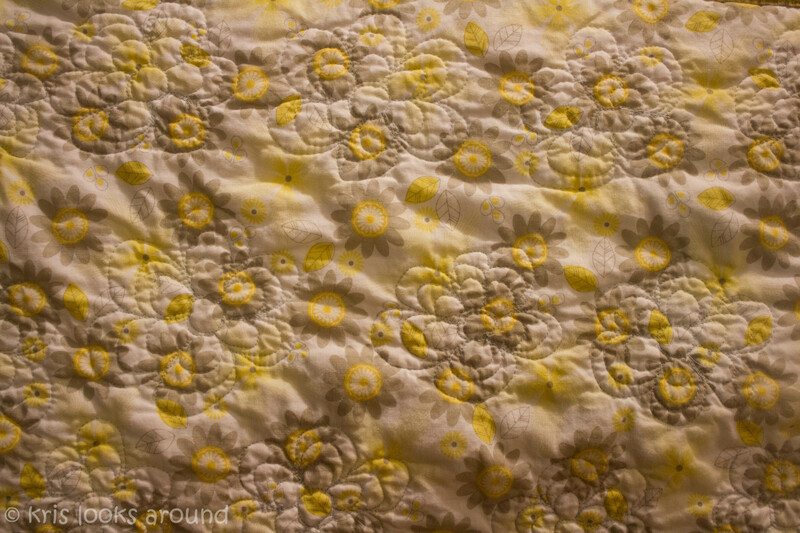 (hint hint hint on what the quilt will be about). 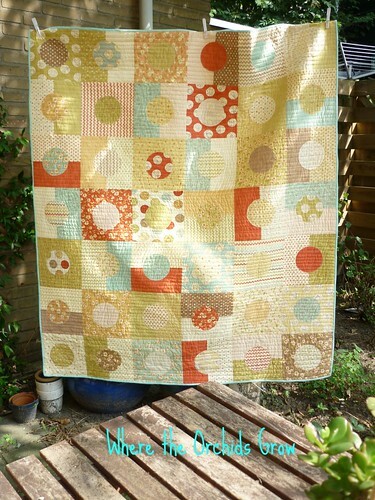 Also super excited that Moda should be shipping material to me so that I can make a quilt for them. Don’t know which line they picked to it will be a fun surprise. 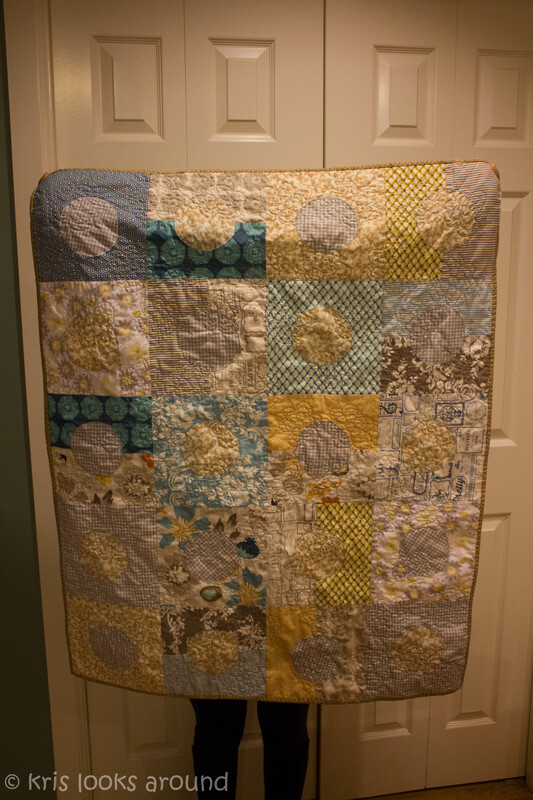 This entry was posted in Quilting and tagged baby quilt, Riley Blake Lost and Found 2. Bookmark the permalink. love it! You are amazing! Pretty! I’m sure the parents love it!